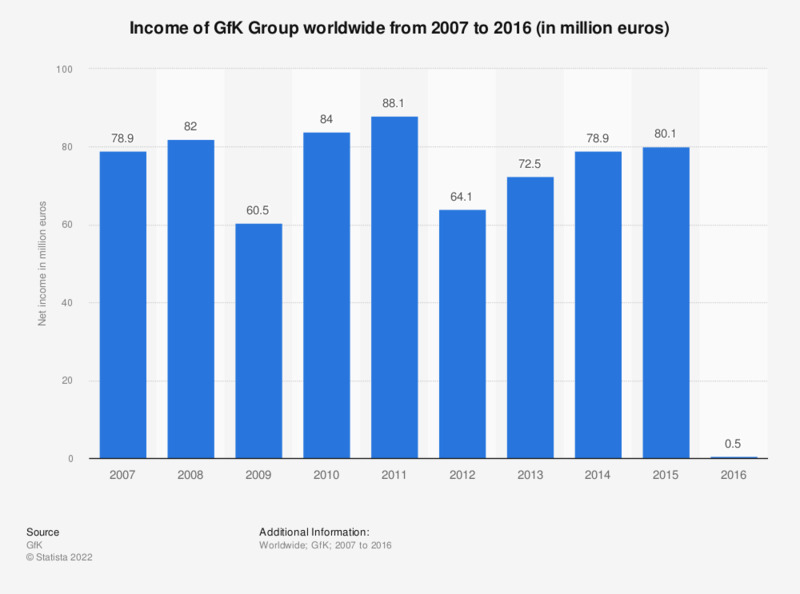 This statistic shows the net income of GfK Group worldwide from 2007 to 2016. In 2015, GfK's net income amounted to approximately 80.1 million euros. The GfK Group is a German market research institute established in 1934. Figures for 2013 and 2014 were restated in the 2015 annual report. 2013, 2014 and 2015 figures do not take into account goodwill impairment.